What are the benefits of joining TCMLC? Friendship, knowledge abut black powder guns and a whole lot more! 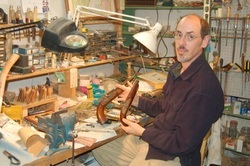 Bill Young, our resident Black Powder Gunsmith is skilled in all aspects of muzzle loader construction and repair. Having built many rifles and smooth bores from scratch, he is well suited to lead our Builders Group which meets monthly to assist those who are building their own kit rifles. If you want to learn more about building a rifle or smooth bore or just need help with some repairs to an Old Warrior, join us at our next meeting, or call Bill at 612-879-9695 for more information about the TCMLC Gun Building group. 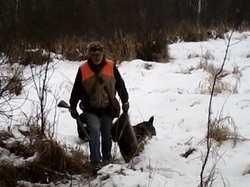 Club members enjoy a variety of hunting opportunities together, such as this pheasant hunt. A member is shown here carrying the raccoon he bagged, followed very closely by the dogs. Members of our club participate every year in Historical Treks. A trek is basically our attempt to travel by foot (or canoe) using only period clothing and equipment. 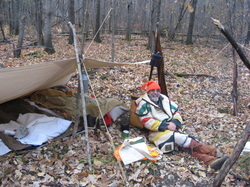 It's one thing to sit back and imagine what a day in the life of a longhunter/fur trader/voyageur/mountain man may have been like, but to go out into the woods, limiting ourselves to only the items available for the historical period - and only those we can comfortably carry- gives us true insight and appreciation of their daily lives. Think of it as very primitive (low tech) backpacking. 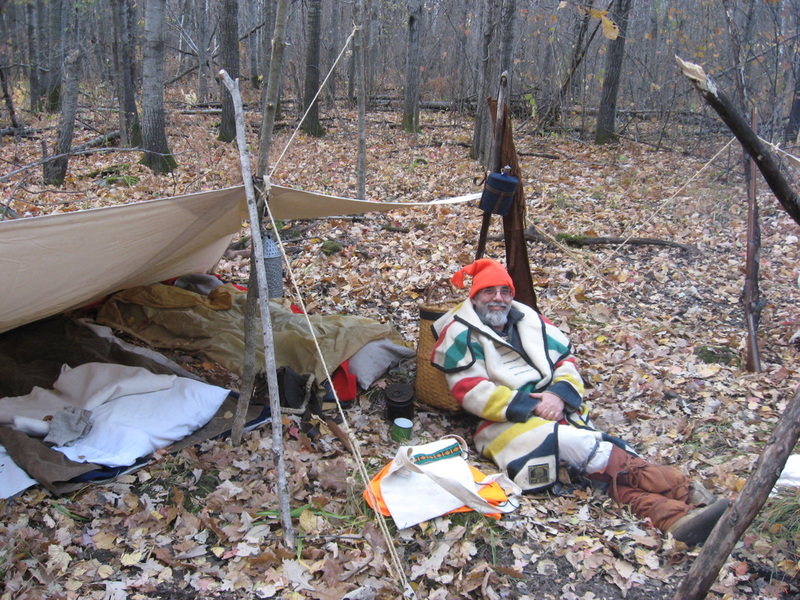 It's just you (and a few great friends) in your period correct clothes, a muzzle loading firearm and the equipment you carry on your back as you attempt to find some game to feed yourself, create your own shelter, make your fire with flint and steel, and sleep under the stars wrapped in a wool blanket or two. And the next day, you get to get up and do it all over again!